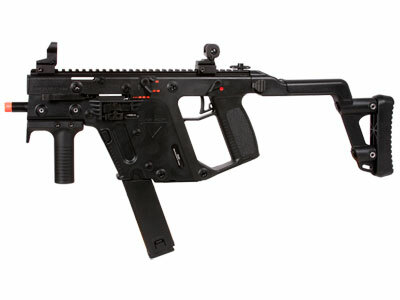 The KWA KRISS Vector is a sturdy gas blowback rifle that sports a futuristic look in addition to its deadly shot velocities. 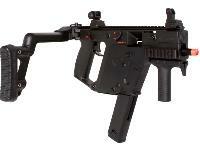 This gun is modeled after the look and feel of its real firearm counterpart, the KRISS Vector. 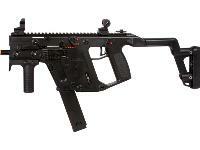 This gun has a unique 21st Century design called the KRISS Super V System. 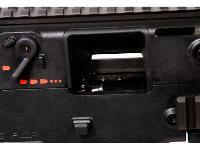 This groundbreaking system redirects the bolt off-axis into a recess cavity behind the magazine well in the weapon, effectively reducing felt recoil and muzzle climb. 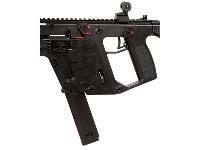 The KRISS Super V System also allows for superior control and quick follow up shooting when multiple targets are engaged. 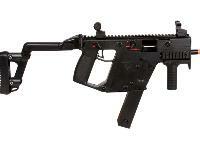 KWA's version offers an effective training platform for military & law enforcement simulations. The gun features the same appointments as the real firearm along a high impact polymer receiver & folding stock for easy carrying. 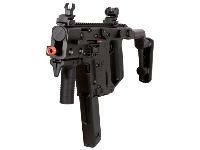 The gun is selectable for semiauto, full auto & 2 round burst fire. 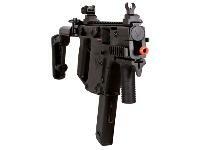 The realistic charging handle & functional bolt catch of the KWA KRISS Vector also help train users in proper weapon handling without compromising performance. 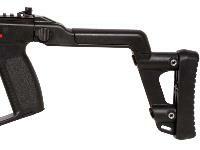 Things I liked: The best sub-gun I've used.. Most reliable!!!! 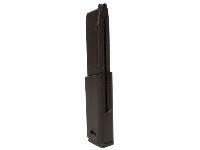 Mags feed ammo perfectly, never misfires! 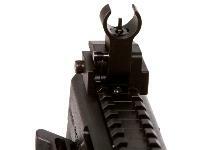 Flip up sights standard- 2 thumbs up. Comfortable and well built. My absolute favorite of all my airsoft!!! Things I liked: Awesome!!! That sums up this SMG. 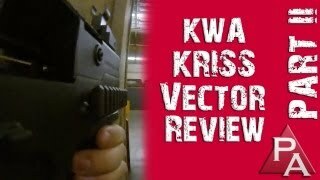 My son absolutely loves his KWA Kriss. This was his 13th Birthday present. Needless to say everyone at the local airsoft store is envious of him. They had a block party tonight and he said the gun preformed perfectly. To play at their course we had to drop the FPS down to from 380 to 300. This was done using Danger Werx KMP9/MP7 Flute Valve. The chronograph tonight had it at a consistent 285 FPS. 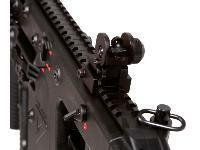 I forgot to mention, the two round burst is one of our favorite features on the gun. What others should know: A Big Thanks, to everyone at Pyramyd Air for getting the order expedited and to me by his birthday! Things I liked: The pictures do not do this justice! Very well made. This gun is ROCK SOLID! you can feel the quality when you pick it up.Fires like a dream! 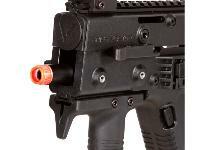 Accuracy is right on par for the size barrel.If your on the fence about this,,,BUY IT! This is one of my favorite to date and I own ALOT of air guns and airsoft.